﻿ Best Price on Hotel Miraflores in El Cuco + Reviews! Set directly in front of Punta Las Flores Beach, Hotel Miraflores offers an outdoor pool, lush gardens and a palapa-covered terrace with hammocks. Each air-conditioned room features cable TV and free Wi-Fi. Rooms at the Miraflores offer a seating area and a private bathroom with a shower and free toiletries. Many rooms have views of the gardens. A free à la carte breakfast is provided from 07:30 until 10:00 daily, while the hotel’s restaurant serves a range of international dishes. 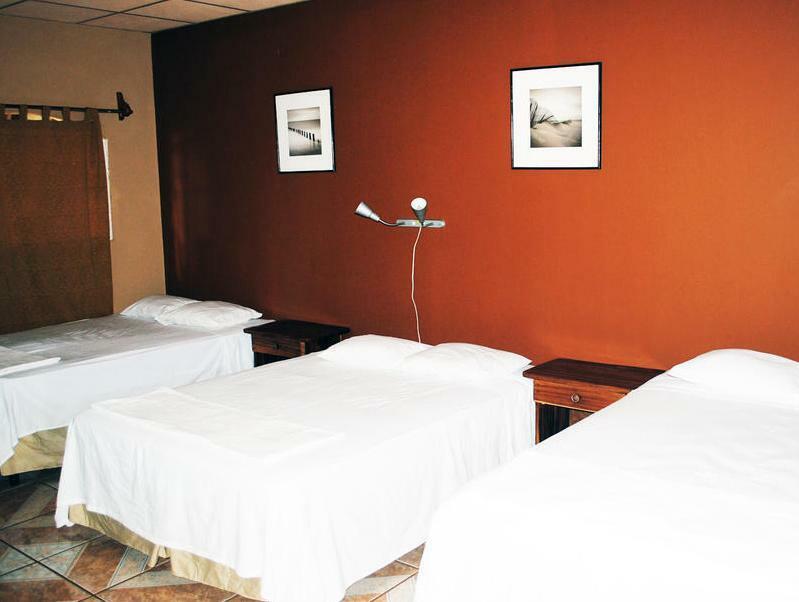 Hotel Miraflores is located a 10-minute walk from El Cuco town. The beaches of Punta Mango and Playa Icacal are within a 10-minute drive, while San Salvador is around 106 mi away. Please note that the kids under 12 years old does not have breakfast included. Please let the property know if you expect to arrive after 18:00. You can use the Special Requests box when booking or contact the property using the contact details found on your booking confirmation. Please note that rooms do not have hot water.